Again half a dozen over ripe Bananas! Hmmm that’s what I found in my fridge after returning from our Ajmer Trip last week! After seeing the bunch of bananas hubby commented on a flat note “ohh again we will be having Banana Bread with Tea!”….Well I was also thinking the same and he knows it well that I am not going to throw the bananas! 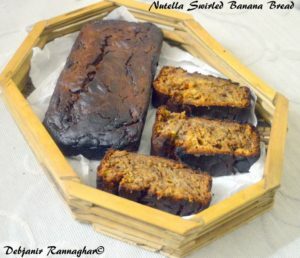 I started preparing for the Banana Bread after returning from office on the same day and when done with the preparation, I decided to add something extra to make the regular Banana Bread a bit special… On that thought, I started checking both my fridge and store and found a small bottle of Nutella! Eureka! And what else!!! 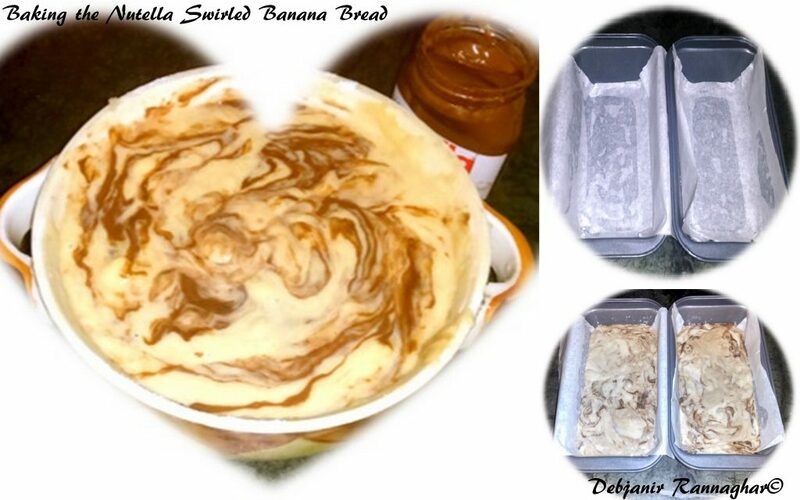 Well nothing but two loaf of Nutella Swirled Banana Bread! Nutella requires no intro I guess…. This heavenly Choco- Hazel Nut spread has the capacity to make any dish extra special … extra tasty… So no more chitchat but the recipe of the super taste Nutella Swirled Banana Bread….. The recipe is almost similar to my regular Banana Bread Recipe with very little alteration to the ingredients.. Apart from this, I just have added some Nutella to it to make the bread tastier. Preheat the oven in 170 degree C for 10 minutes and start mixing all the ingredients. 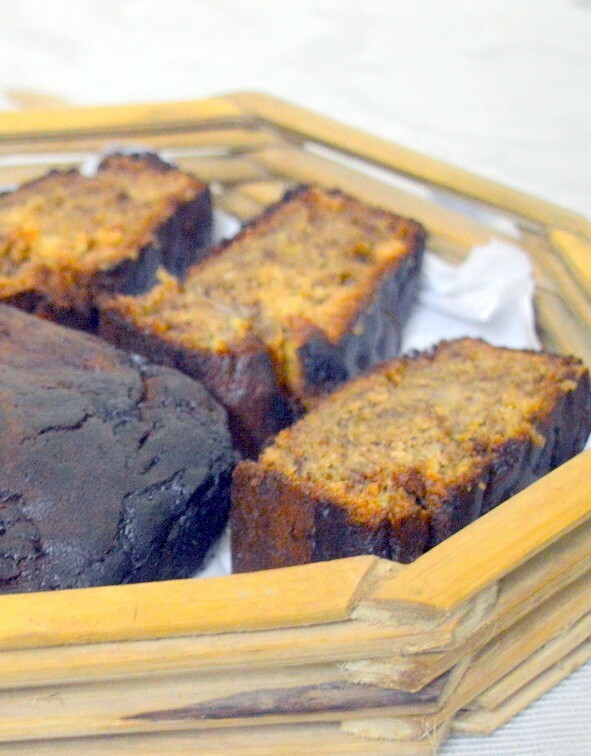 Banana Bread requires no extra standing time unlike other Breads. Now it’s time to mix all the Dry ingredients and Wet Ingredients separately. Take Oil along with Sugar Powder in a separate bowl and start mixing those using a fork or spoon. Mix 1/3rd of the Wheat Flour mix to the Wet ingredients mix and after mixing properly add another part and mix and complete the mixing by adding the last part. Now add Mashed Bananas to the mixture. Take Nutella in a Bowl and microwave it for 30 seconds to soften the Nutella. 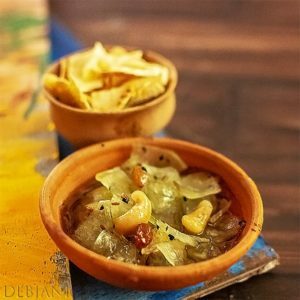 If you are not available with a Microwave then just soften it using double boiler for 2-3 minutes. 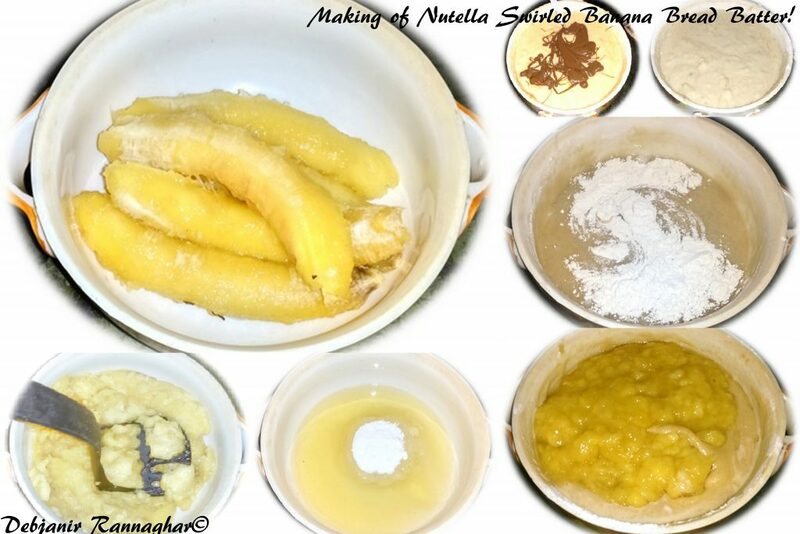 Add entire Nutella to the Bread Mix and using a Rubber Spatula fold it very lightly to swirl the batter. Don't overmix. Take 2 Bread Tin and coat those with some oil and then coat with little Flour or line with a baking Paper. Pour the mixture in the Bread tin. Don’t overload the tin with the batter. Bread Tin filled till 2/3rd height would be fine since we have added raising agents (Baking Powder, Baking Soda and Eggs) to raise the Bread. Bake in 170 degree C for 50-60 minutes and do check frequently after 45 minutes of baking. 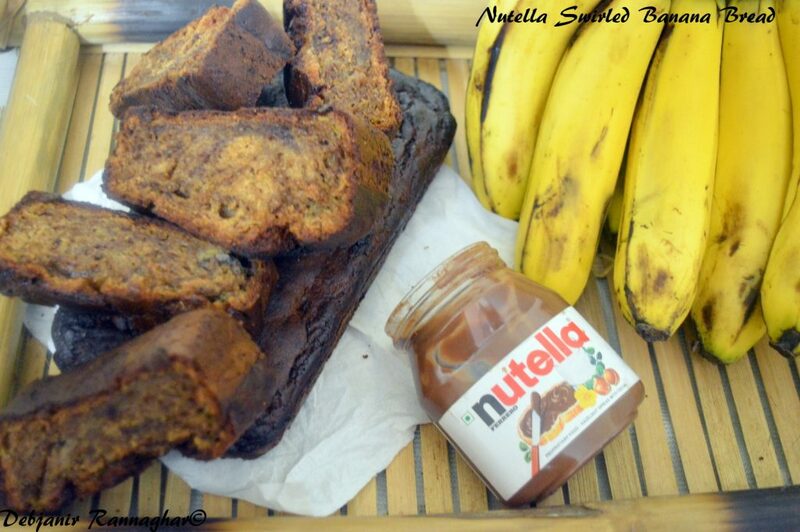 Nutella Swirled Banana Bread can be stored for more than a Week. I prefer to serve it with extra Nutella Topping! 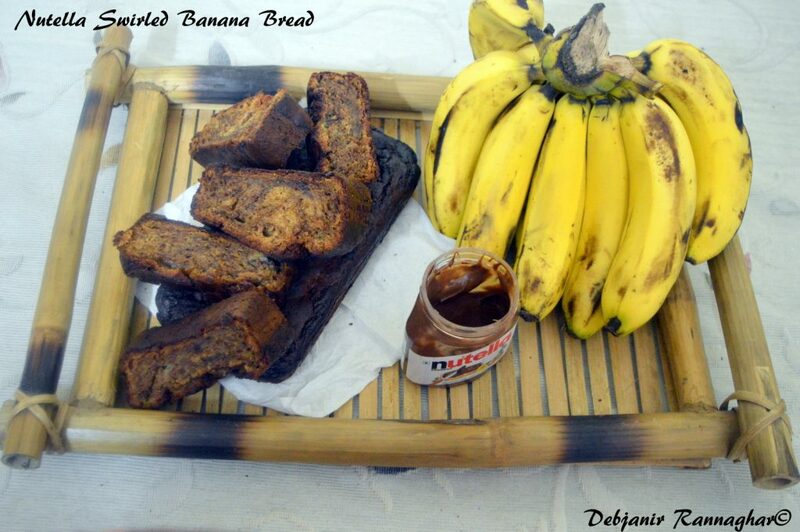 Here’s the Recipe link of Normal Banana Bread that I shared previously!